Dr. Jaxel Lopez-Sepulveda provides pregnancy testing for women in Irving, Texas. At his private family medicine practice, Clinica tu Salud, Dr. Lopez-Sepulveda prioritizes the individual needs and concerns of women and has extensive experience in women’s health and pregnancy testing. 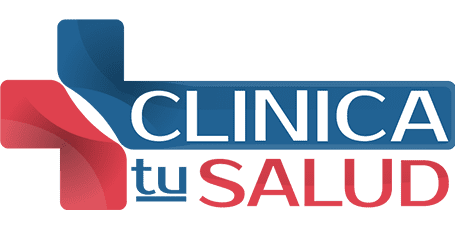 If you think you might be pregnant, visit Clinica tu Salud for compassionate care. Call or schedule an appointment online today. Pregnancy tests identify a certain hormone in the blood or urine that’s only present when a woman is pregnant. The hormone, human chorionic gonadotropin, or hCG, is also referred to as the pregnancy hormone. Your body produces the pregnancy hormone when a fertilized egg is implanted in the uterus. This typically takes place around 10 days following conception when the sperm fertilizes the egg. With each day that you’re pregnant, the pregnancy hormone builds up in your body. Most tests can be taken as soon as you miss menstruation, but some tests can even detect pregnancy up to four or five days before menstruation. Sometimes it can be difficult to tell if your at-home testing kit is positive or negative because the line might be faint. A faint line could indicate that you’re earlier in your pregnancy and have lower levels of the pregnancy hormone. If you think you might be pregnant, at-home pregnancy tests are a good place to start. You should also visit a qualified physician like Dr. Lopez-Sepulveda to confirm your pregnancy and find out the next steps. What are the different types of pregnancy tests? There are two ways to check for the pregnancy hormone. A urine test can either be done at home or in the doctor’s office. A blood test can only be performed at a doctor’s office and takes longer than a urine test to obtain the results. A blood test can detect a pregnancy sooner, around 10 days after conception, while a urine test is typically at least two weeks or longer. A qualitative hCG blood test checks to see whether the pregnancy hormone is present. A quantitative blood test, or a beta hCG test, measures the exact amount of hCG in your blood and can even detect smaller amounts and indicate how many weeks you’ve been pregnant. For accuracy, Dr. Lopez-Sepulveda might perform both blood and urine pregnancy tests. What are the benefits of visiting a medical professional for a pregnancy test? While at-home pregnancy tests are quite accurate, Dr. Lopez-Sepulveda can confirm your pregnancy with effective in-office testing. During your visit for a pregnancy test, Dr. Lopez-Sepulveda can also evaluate your overall health and even conduct a physical exam. For more information about pregnancy tests, call or book online to visit Dr. Lopez-Sepulveda.